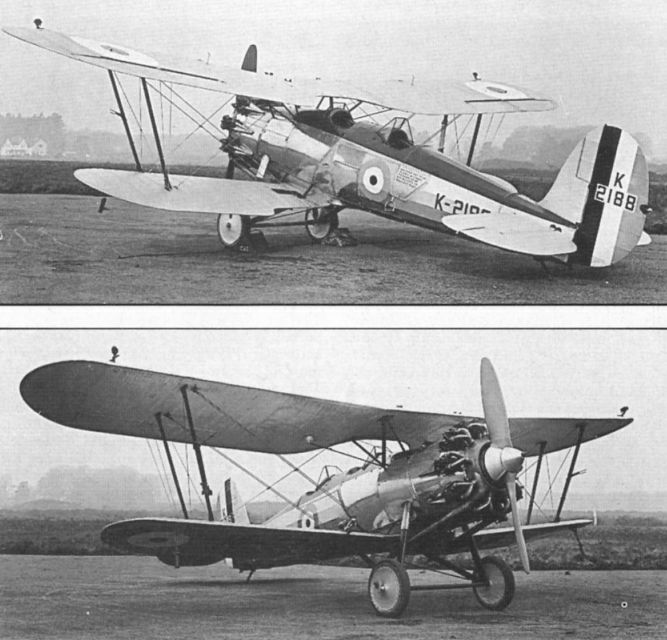 The prototype Bristol Bulldog II, J9480, first flown on January 21, 1928 from Filton by Cyril Uwins. The type was subsequently ordered into production to Spec. 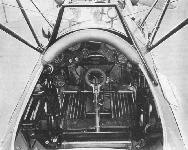 F.17/28 and the first production example was J9576. 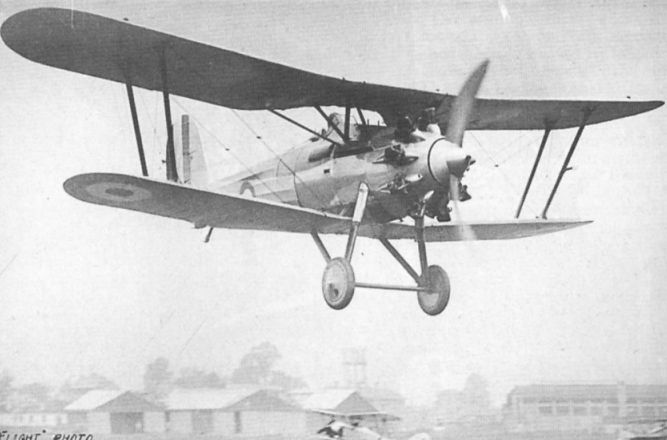 The prototype Bulldog I photographed during a demonstration during the latter half of 1927. It first went to Martlesham in June of that year and made its public debut at the RAF display at Hendon the following month. 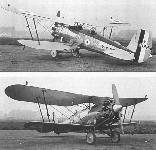 Two further views of the two-seat Bulldog T.M.. K2188. Subsequently this aircraft flew as a testbed for the Cheetah engine and was later relegated to become an instructional airframe in 1940. 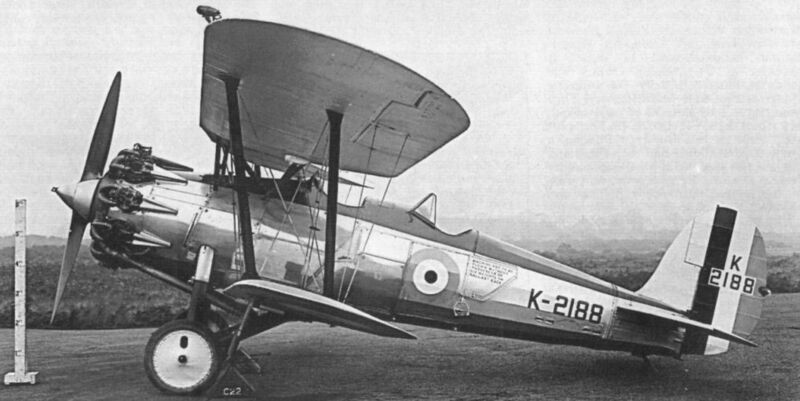 Bulldog IIA K2188, part of a batch of 100 IIAs delivered to the RAF between June 31 and February 1932, was converted to become the prototype two-seater Training Machine (T.M.) towards the end of 1931. 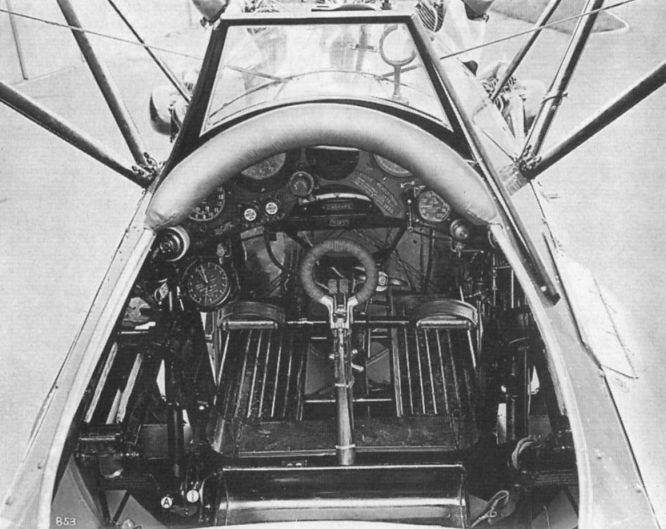 The view from the well-appointed Bulldog cockpit was considered good for formation flying. Bristol Bulldog Mk IIA G-ABBB, repainted to represent K2227, caught at the moment of over­turning following a display at North Weald on June 11, 1962. 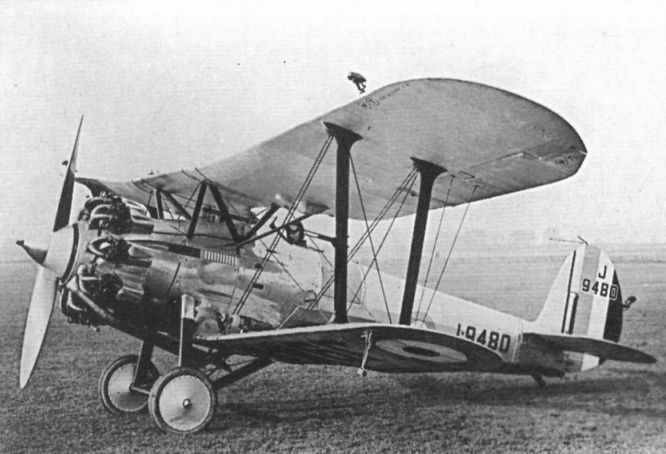 Bristol Aircraft chief test pilot Godfrey Auty was unhurt and the Bulldog was repaired to fly again. Unfortunately it was written off during the SBAC Show at Farnborough on September 13, 1964.